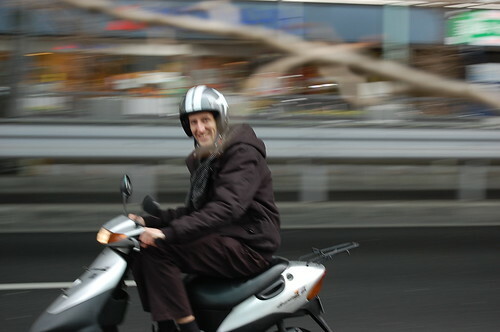 Jairo is in Tokyo… and he has a scooter!! 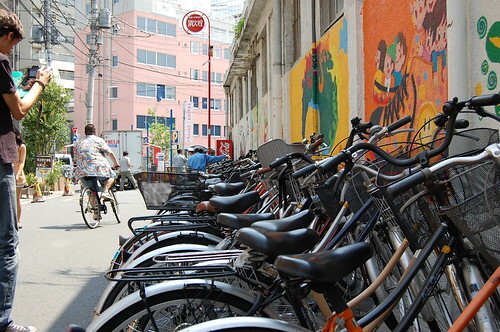 One of the many impressive things in Tokyo is its absolute cleanliness. 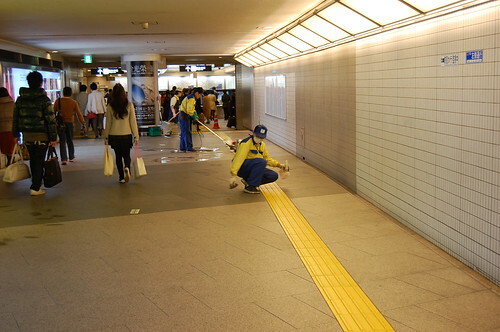 Here they were polishing the yellow lines on the subway station floor. 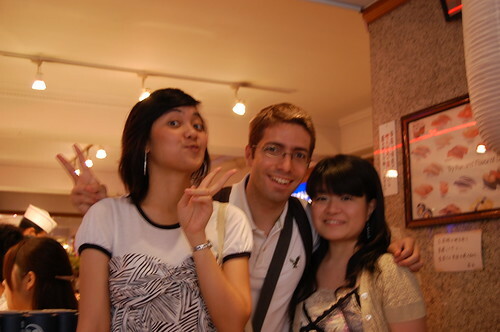 With Jiwon, Jairo, y Celia in an izakaya right under the Shinkansen railways. 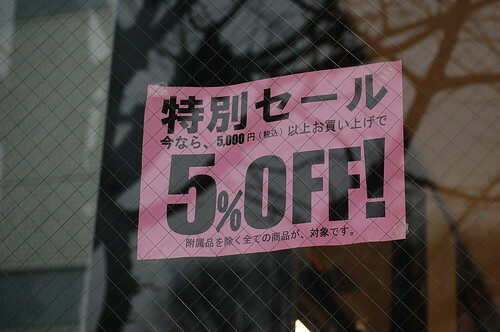 Everybody knows that interest rates in Japan are not very generous… Well, it seems sales aren’t much better. 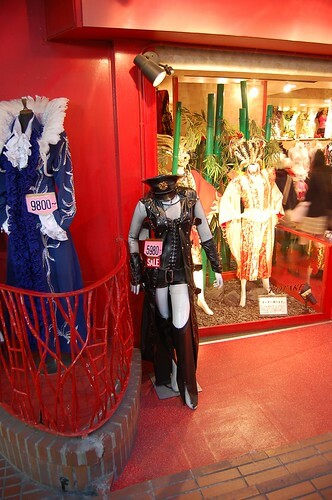 In Takeshita Street (Harajuku Station) it’s easy to find characters dressing like this (cosplay). This is also something you can see more and more in Seoul nowadays. 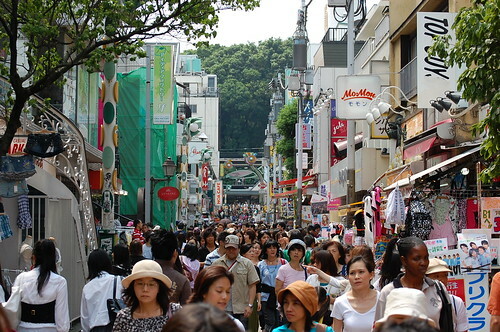 Specially on weekends at the Hongdae area. 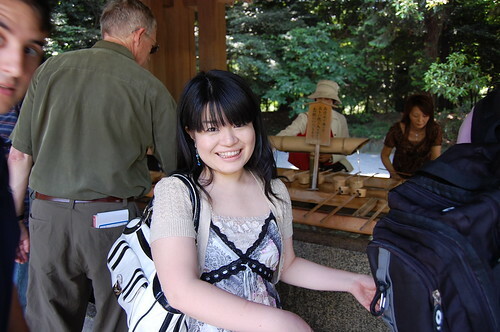 With Jiwon at Yoyogi Park, near Takeshita Street. 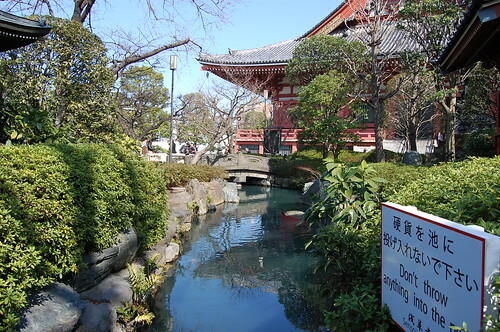 Right next to Asakusa Temple (a must-see spot for any tourist in Tokyo) there are these gardens. 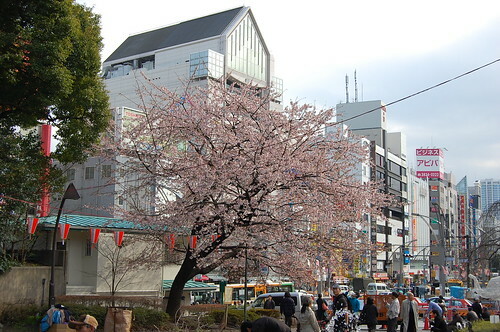 Even though it’s still a bit early (festivals usually take place in late april), we would see some cherry blossoms in Ueno Onshi Park. 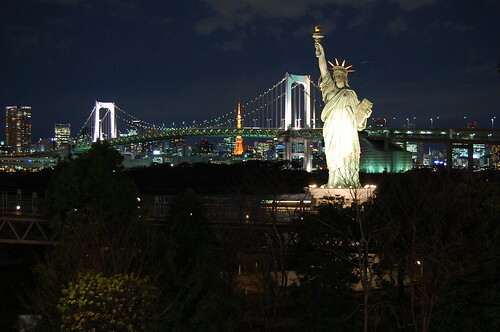 Another place I hadn’t been before is Odaiba Island. 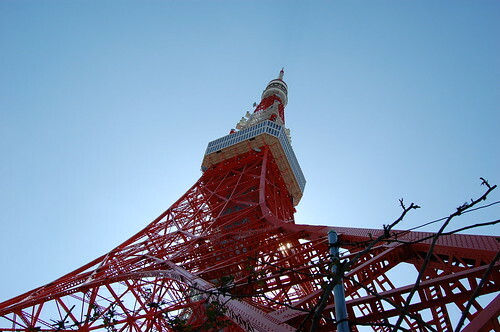 I recommend you to go at night, as you will be able to enjoy these views (if you go in winter on a windy day, be prepared to get cold…). 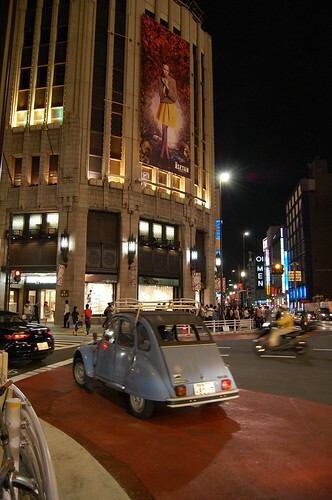 Of course, we also went out at night. 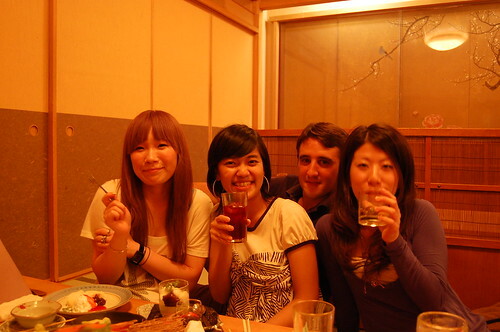 Here we are (from left to right) myself, Jiwon, Elena, Peque, Jairo, and Satomi at a bar in Roppongi. 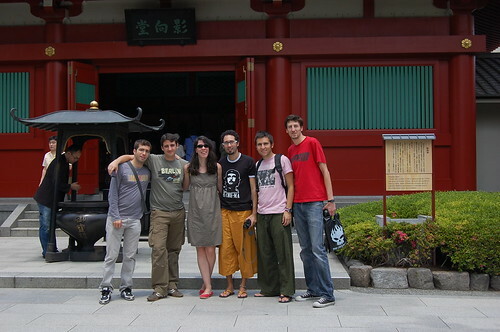 On our last day in Tokyo, this is how the sky looked like (I didn’t use Photoshop in the picture). Surprisingly enough, it didn’t even rain at last. Finally I have some time to show you the pictures from our last trip in 2008. 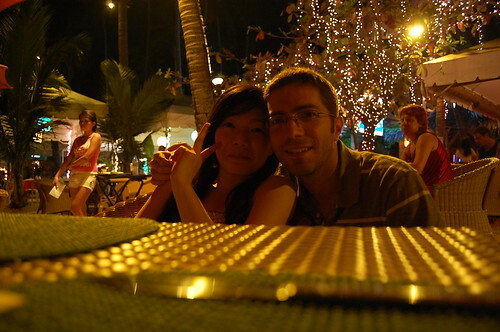 This time we went to the Philippines, one of the last Spanish colonies and a true paradise. Among all the islands that belong to the Philippines, we decided to follow Pura‘s advice and travel to Bohol, kind of avoiding other islands’ crowd (such as Boracay). I believe we did well, and in Bohol we found what we were looking for, some rest, and things to see apart from beaches and coral reefs. 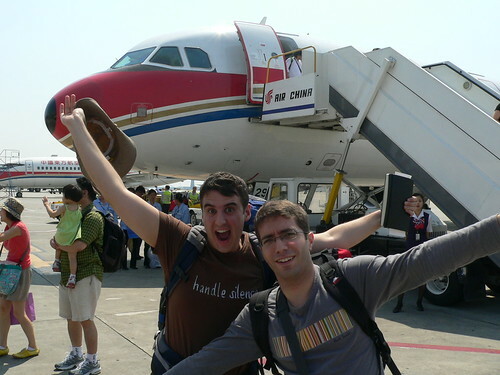 With Ji-Won and Jairo, on the plane that would take us to Manila. 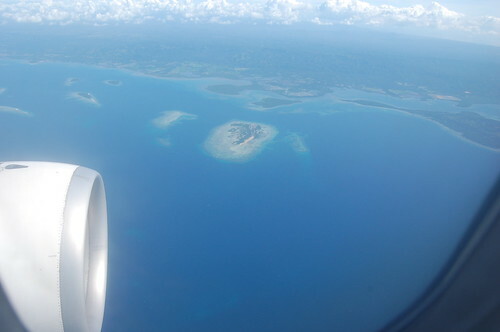 Philippine islands from the airplane. Philippines has more than 7,000 islands, many of them surrounded by coral reefs. 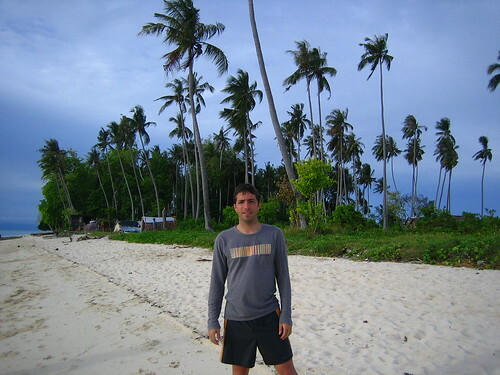 Once in Bohol, we found it’s a small and quiet island with plenty of restaurants and delicious and quite cheap fish. Ji-Won with a Tarsier, a primate that can be easily found in the Philippines, known for its tiny size, huge eyes and long fingers. 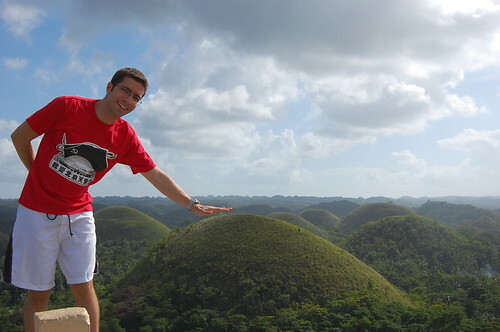 Another must-see spot in Bohol, are the Chocolate Hills. They are more than 120 little hills which were formed by coral accumulations when Bohol was covered by the ocean. This gave these hills a brownish color by which people started calling them “Chocolate Hills”. Already on our way back to Seoul, at Tagbilaran Airport (Bohol) we found something to remind us we were at a tropical country. A group of… mariachis? 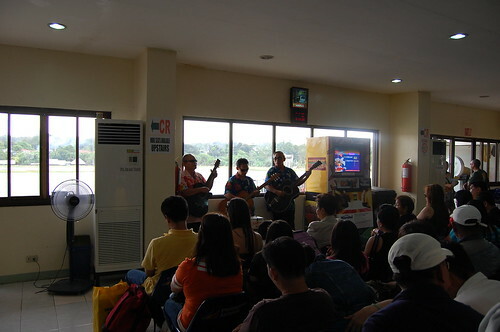 played some music while passengers were waiting at the two boarding gates this this airport has (the smallest airport I have ever seen). Lately I am traveling a lot… which means I don’t have much time to update my blog, study Korean, or keeping in touch with friends. Anyways, this trip’s goal was basically diving in Sipadan, which we couldn’t because we didn’t know that there is a one-month waiting list to dive there. 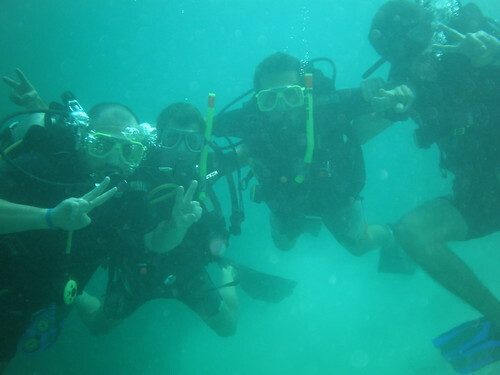 But at least we got to dive in other closer islands and we finally got our PADI Open Water Diver License. We decided to stay at Semporna, a town on the east coast of Sabah, in Borneo. 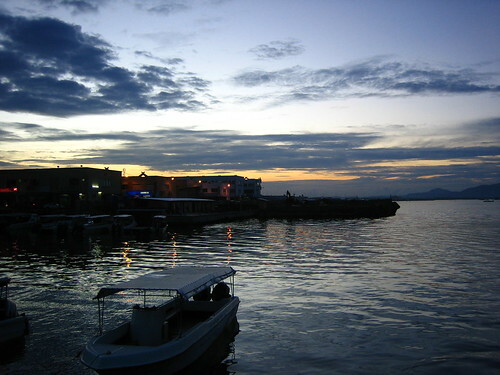 From there, you can take a boat to many small nearby islands which are pretty good for diving. There is not much to see in this town, though. Most tourists here come solely to dive. With Alex, ready for some snorkeling. 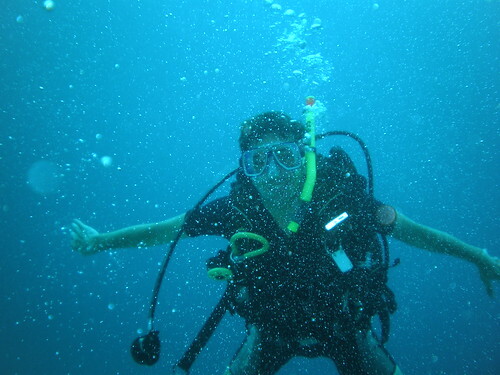 And that’s me with my friends, diving. Floating houses. 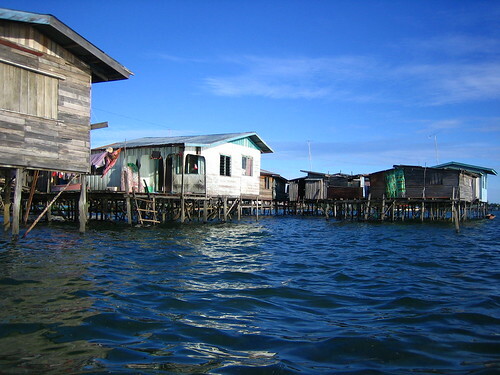 Many people in Semporna live on the sea… literally. 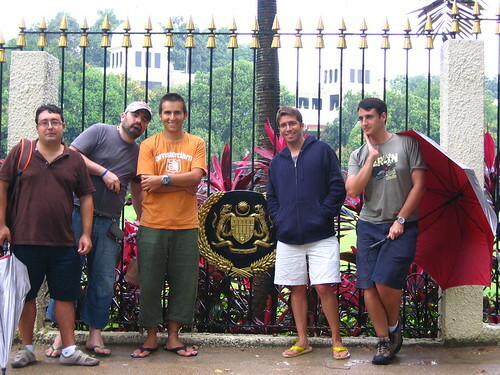 Once we got sick of diving, we flu back to Kuala Lumpur, and spend a couple of days there. 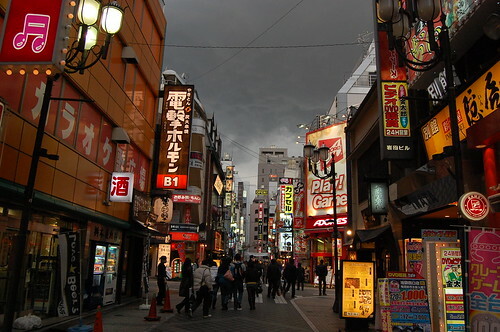 The city isn’t one of my favorites, but I liked the mix of cultures and religions that you can see on the streets (Islam, Buddhism, Hinduism, etc.). We decided to pay for a guided tour, which probably was a good idea because it was raining most of the day and it felt quite nice to move around by car instead of walking. Main gate of the Royal Palace, Kuala Lumpur. 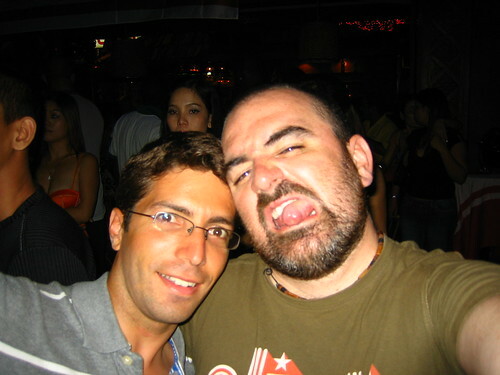 Partying with Marcos in Kuala Lumpur. 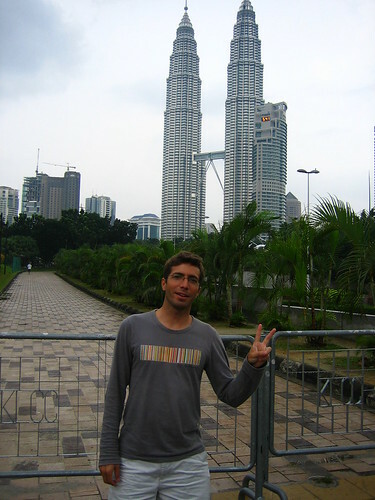 In front of the Petronas Twin Towers. One of the least original pictures to be taken in KL. By the way, according to Wikipedia, the second tower was built by the Korean company Samsung Engineering and Construction. We spent the last day of the trip in Malacca, a very nice colonial town two hours and a half drive south from Kuala Lumpur. This city was colonized by the Portuguese, Dutch, and British. Therefore, Malacca seems anything but an Asian city. 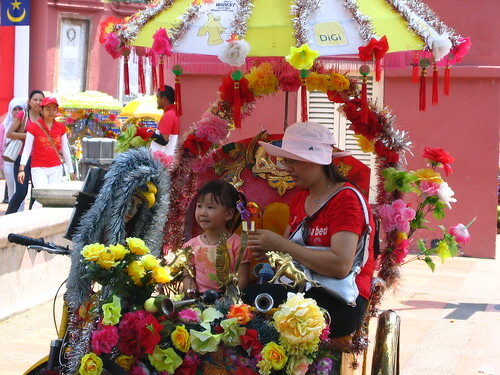 There are these tuk-tuks decorated with flowers everywhere around Malacca taking tourists around. 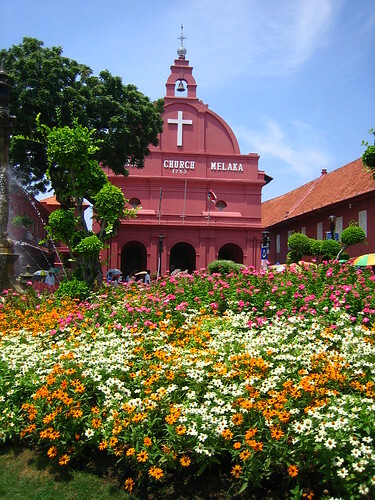 Christ Church, at the Dutch Square in Malacca. On the way back to the airport, we stopped at Putrajaya, a kind of artificial city where the government is moving most of its official buildings. 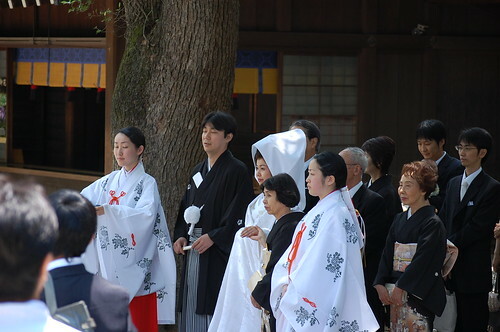 There is a big mosque and selling of alcohol is forbidden in the whole city. 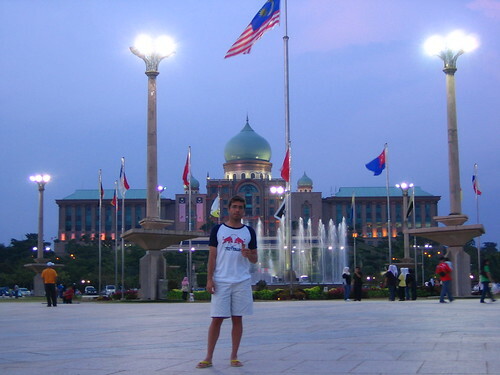 In front of the Prime Minister’s office, in Putrajaya. 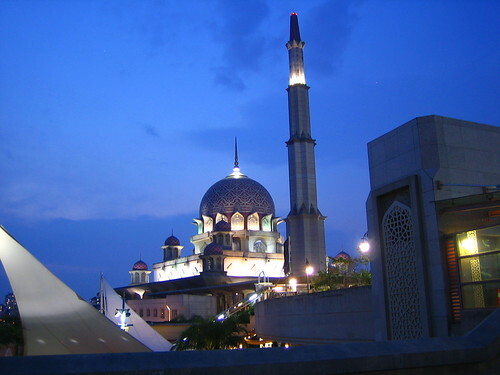 View of the Putra Mosque at night. We arrived in Beijing in the morning. At the airport Ga-Young was waiting for us and took us to the bus station to get our bus tickets to Erenhot, the border with Mongolia. After we got the tickets, we had around four hours left to hang around Beijing, so we headed to Tiananmen, took some pictures, had some Peking Duck for lunch, and back to the bus station. 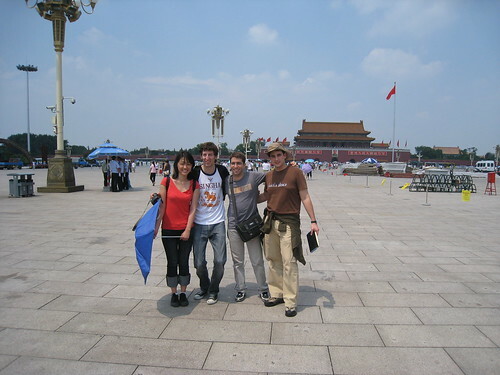 At Tiananmen Square, from left to right, Ga-Young, Jairo, I, and Pablo. 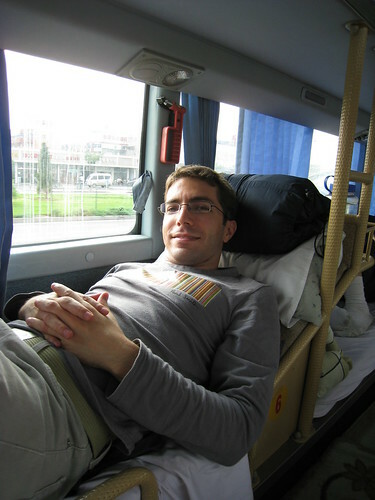 Ready to take the bed-bus to Erenhot. 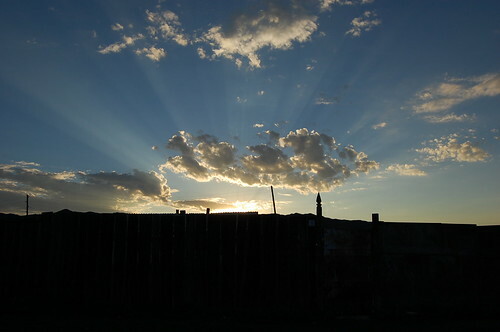 Next day in the morning, we arrived in Erenhot, the last Chinese city before crossing the border to Mongolia. 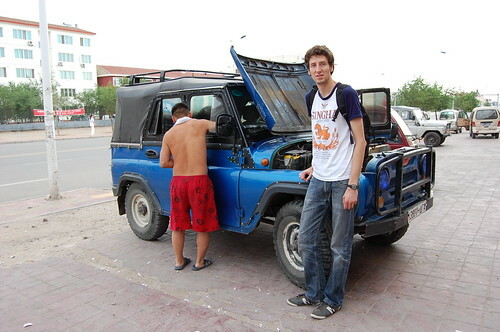 When we got off the bus, there were dozens of drivers offering us to cross the border with us in their Russian 4WD’s. Jairo with our driver and his car. 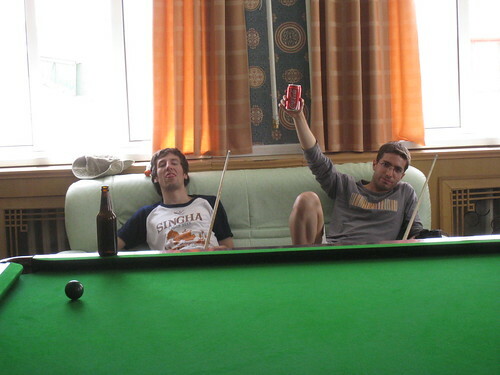 Already in Mongolia, playing pool while we waited for the train that would take us to the capital, Ulan Bator. The train wasn’t very comfortable either. Here I am trying to get some sleep with Pablo and my Korean book. 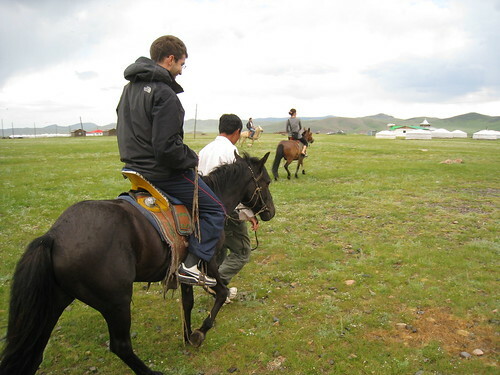 After being in the train for the whole night, we arrived in Ulan Bator, where Seggie, our tour guide picked us up. 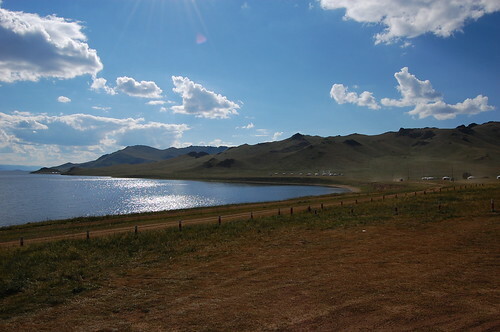 Very few people speak English in Ulan Bator, and if you moved to the countryside like we did, you really need a guide and a driver if you don’t want to get lost in the middle of nothing. 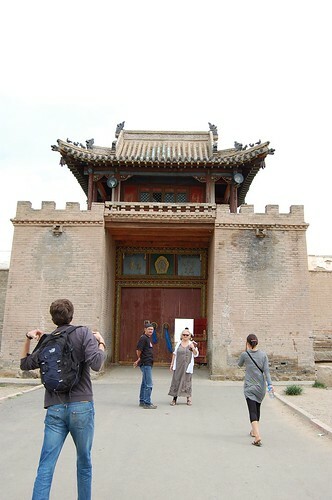 On the 4th day we headed to Karakorum, the old capital of the Mongol Empire. 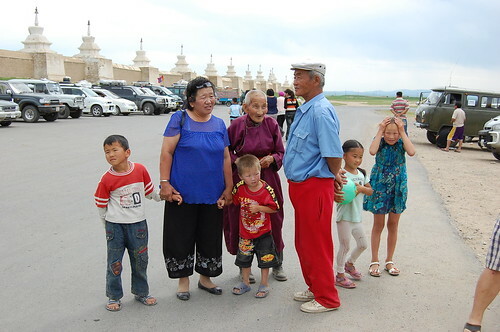 A typical Mongolian family going to the Erdene Zuu Monastery, in Karakorum. Probably the most awesome rainbow that I’ve ever seen. This day we drove a lot. 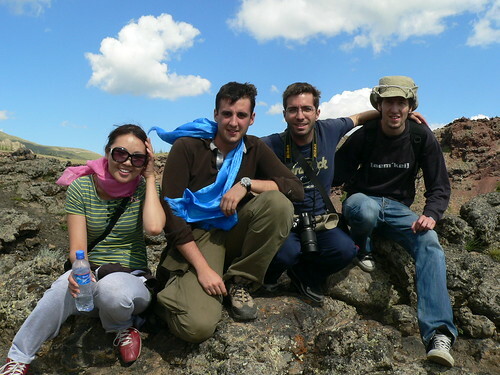 I don’t know how many kilometers, but eventually we arrived at Khorgo Volcano. 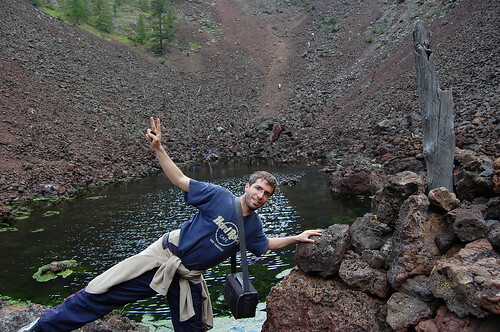 After climbing to the top of the volcano, and going down to it’s crater, we went swimming to a lake nearby, where we spent the night and took some rest. At the top of the volcano. Right at the crater of the volcano. The lake where we swam (just awesome!). 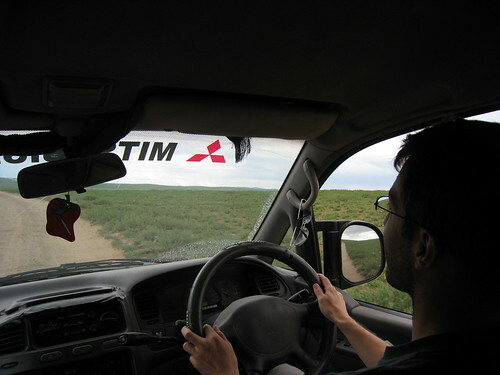 I got to drive for a while on Mongolian non-paved roads. 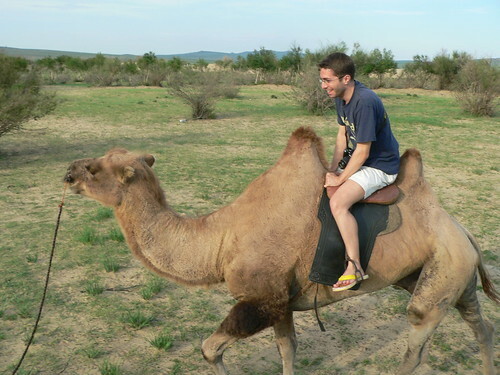 This was one of the best experiences in our trip. Mongolia is the only country in the world where you can see truly wild horses. 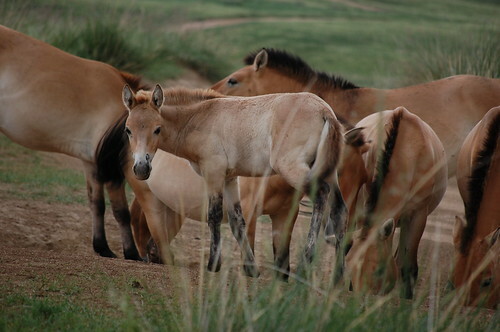 As opposed to the American Mustang or the Australian Brumby, the Mongolian Wild Horse, Przewalski’s Horse, or simply Takhi (which means “spirit”, and is how Mongolians call them) has never been successfully domesticated. Family of wild Mongolian horses. 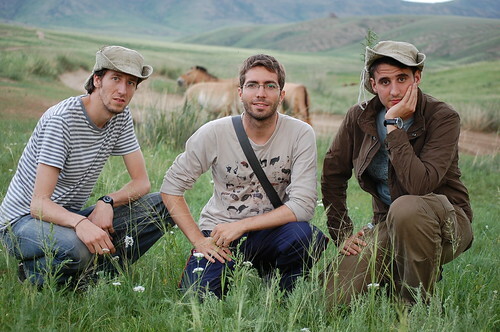 The three adventurers with the wild horses on the background. 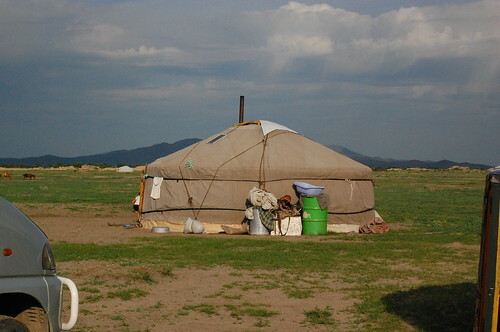 In our last day in Mongolia we decide to head back to Ulan Bator, and do some shopping before going to the airport and fly to Beijing and then back to Seoul. 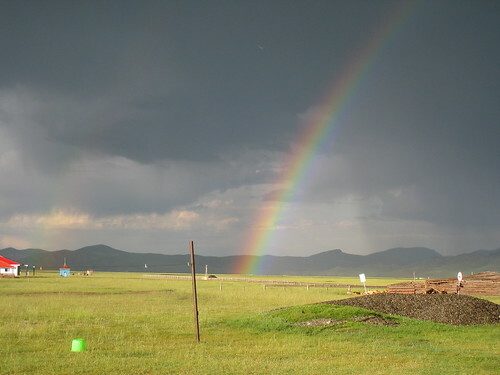 From what we saw, Ulan Bator is not such an interesting city. Quite dusty because of the close Gobi Desert, and full of old ugly and poor looking buildings, although we also saw that this city is developing very fast, with many new buildings being built.